In today’s technology world, we have smartphones, tablets, and laptops which can able to do all the things which we can imagine. So why we need to go for the best tablets for reading? The answer is all these kind of devices are not good for our eyes while reading for a long time. These days E-Reader or E-Book Reader has just ruled the market globally and won the hearts of many book lovers. Actually, the design of E-Reader is a small and compact which is easy to carry and the best part of the E-Reader is its display which doesn’t harm our eyes. Still, there a number of reasons to go for this E-Reader than the regular tablet, as it helps to read comfortably for hours without eye strain. Also, you can store hundreds or thousands of books on an E-Reader at a time and almost all the E-Readers you will get at an affordable price. If you are looking for buying an E-Reader, then here we have some of the best tablets for reading, which are the best E-Reader available in the market. 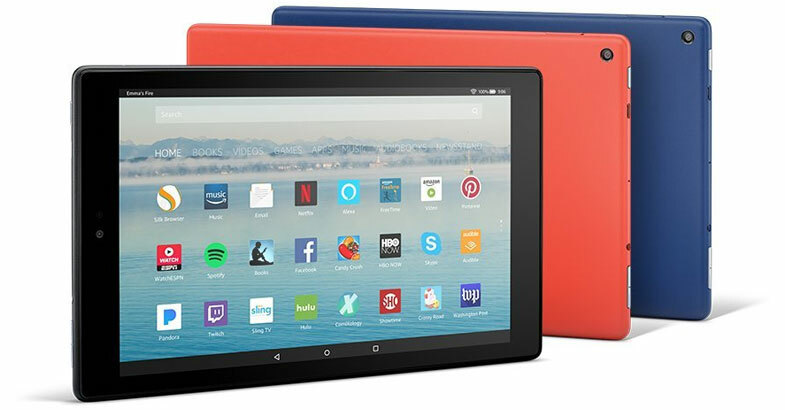 But if you are planning to use a tablet for reading books, comics as well as for gaming or watching videos then we have included the normal tablets also in this list which will fulfill your all the requirements. For a reading, Amazon’s Kindle has been dominating the overall tablet market by providing all the essential feature in a compact size and also at a very affordable price around $80. For most the e-book readers, these Kindles are the best option. Before we are moving towards the list you need to check a few things before buying the best tablets for reading, which we have mentioned below. The display of this E-Readers comes with E Ink which helps to show the texts. The E Ink is just similar look like a paper which gives a comfortable reading for long hours without an eye strain. Another important thing is that, if you will buy an inexpensive model then the display doesn’t come with a backlit, it means you can only able to read in a light and not in a dark place like a printed book. But if you will buy an expensive model, then it comes with backlit which helps to adjust the brightness and contrast as per the needs. If you will buy a normal tablet for reading then its display will distract you from reflection as it doesn’t come with a glare-free screen like E-Readers. But if you want to read books as well as colorful magazines and comic books then the normal tablet is a perfect option for you as it has a colorful display. So if you are planning to buy a normal tablet in a budget then Fire HD 10 tablet is one of the best budget tablets for your day to day tasks like reading, surfing the web and watching videos etc. If you will go with the expensive model then it comes with WiFi + cellular connectivity which helps you to buy or download books from everywhere. But while you go with the budget model then it only comes with WiFi connectivity, so if you want to download e-book then you need to wait to get a hotspot or WiFi connectivity if you are not at your home. Do You Really Need To Buy A Waterproof E-Reader? If you love to read e-books in a pool, then we suggest you buy a waterproof E-Reader tablet. And this is the reason here we have added a waterproof E-Reader such as Kindle Oasis which comes with IPX8 water resistant technology. How Much You Should Spend On An E-Reader? 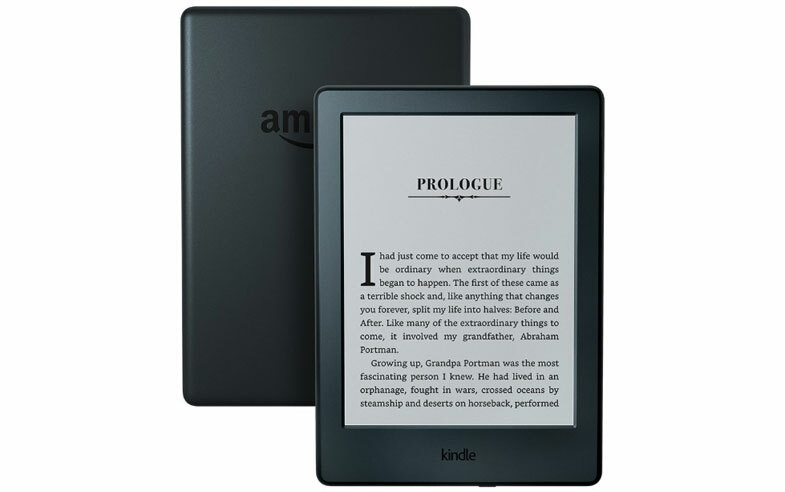 If you don’t have a much budget, then we suggest you go with the base model of Amazon’s Kindle which cost you around $80 which is perfect for you. 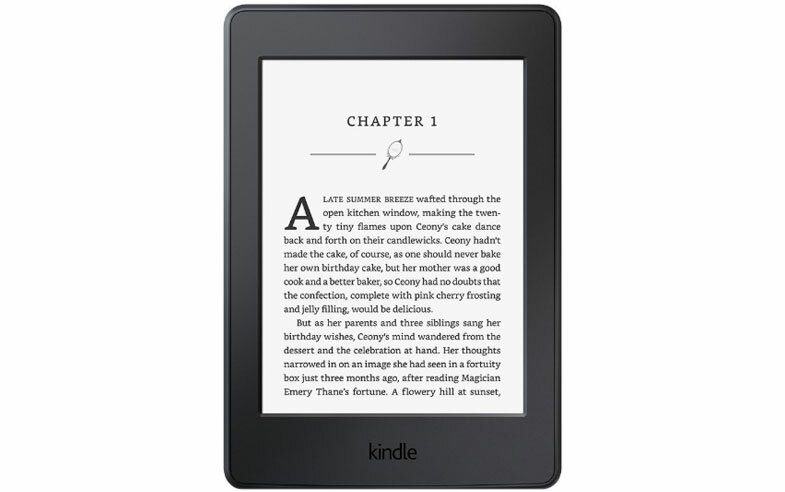 It comes with all the features which are essential for an E-Reader. If budget is doesn’t matter for you or if you spend more money, you will get more features such as LED-backlit, highest-resolution display, Wi-Fi + cellular connectivity, more battery life, waterproof etc. But if you are planning to buy a normal tablet for reading then you will get many good choices under $200 price range which can fulfill your other needs also. We hope that after going through the above few important things, now you may have a better idea about the features of an E-Reader. And also the difference between of E-Reader and a normal tablet. These days Amazon’s Kindle series tablets are most popular for reading e-books and it also known as digital books. 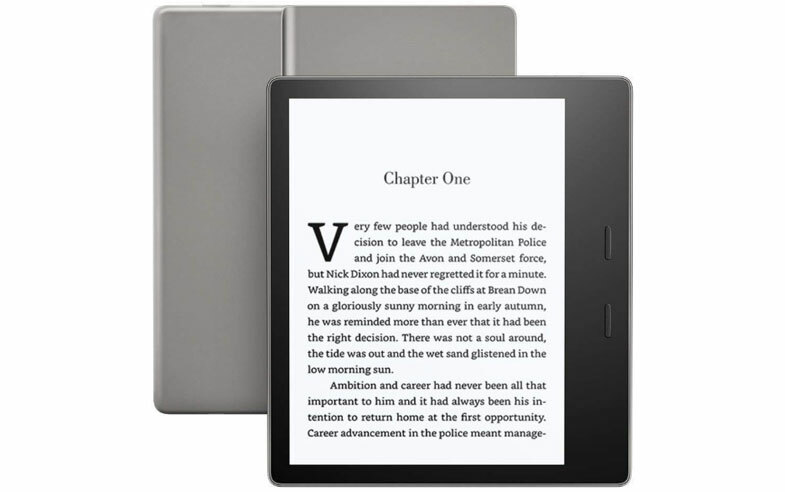 This Kindle E-reader comes from Amazon’s Kindle series tablets and it is a good option for those who love to read e-books and looking E-Reader at low budget. This is a 6-inch tablet which is thin and light in weight, which you can hold comfortably in one hand. This 6-inch tablet comes with glare-free Paperwhite display along with E Ink Pearl technology which delivers crisp and clear text similar like a physical book. Its glare-free screen will never distract you while you reading as it eliminates the glare even you are in sunlight. The best thing is that the display of this Kindle tablet emits blue light, so you can read anytime without losing sleep. And many research has proved that the blue light disturbs your sleep. It features 16-level of gray scale which helps to adjust the brightness depends upon your needs, while you are reading. Let’s move towards the features and specifications of this device, it comes with 4GB of storage + free cloud storage for all Amazon content. 4GB of storage is also good enough to store thousands of e-books. If you are concerned about the connectivity of this tablet then it only has WiFi connectivity. The battery life of this device is amazing which allows you to read e-books not for hours but for weeks on a single battery charge. This Kindle Paperwhite E-Reader is another tablet from Kindle in this list but this one has more feature than the above one. It is also a 6-inch tablet but it has 4 LEDs in-built light which helps to read e-books even in a dark place. This Kindle Paperwhite has a higher resolution display with 300 PPI of pixel density. The display of this E-Reader has no screen glare, even in bright sunlight. So it will give you distraction-free reading experience from glare. 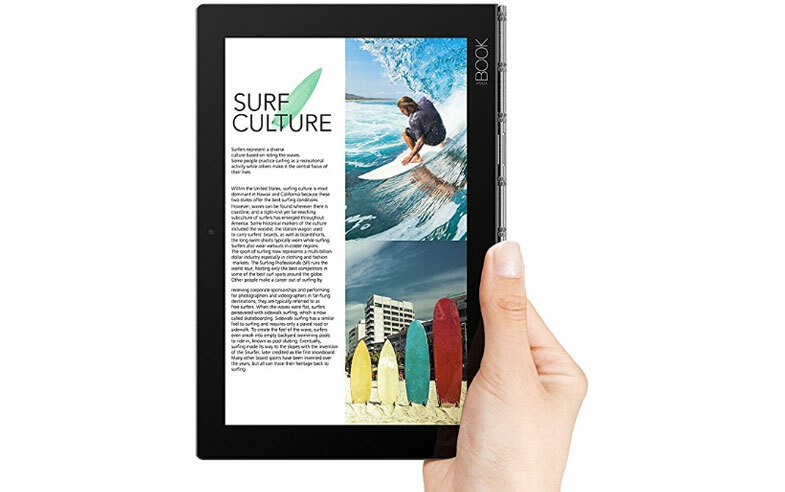 This 6-inch tablet is lighter than a paperback, so you can easily carry with you wherever you go. It comes with 4GB of a storage space which can able to hold thousands of e-books. But still, if 4GB of storage space is not enough for you then don’t worry it gives you free cloud storage to store all Amazon content. For the connectivity, it provides Wi-Fi and Cellular both options to stay connected everywhere. To charge the battery to 100% it can take approximately 4 hours, which can last for weeks. In the Kindle series, this Kindle Voyage E-Reader is premium than the above tablets which comes with few extra features. The size of the display is the same as above Kindle tablet 6-inch but it has 6 LEDs. And also it has an adaptive light sensor that helps to adjust the brightness whether it is a day or night, it means it will provide you a better reading experience in any situation. The display of this tablet has got 300 PPI of a high-resolution display which looks like the printed page. In this Kindle Voyage E-Reader, you don’t need to lift a finger to turn the page, you just need to press the page to turn that page. If we talk about the connectivity of this device, then it comes with both the options Wi-Fi and Cellular Connectivity which helps you to stay productive in any situation. Like Kindle’s other devices this is one is also can stay for weeks on a single charge. This Kindle Oasis E-Reader is the high-end tablet from Kindle’s series and it comes with many more features than the other Kindle series tablet. The display size of this tablet is bigger than all the previous Kindle’s tablet, it comes with 7-inch of a display. It comes with inbuilt 12 LEDs which is also more than the previous tablets, and an adaptive light sensor which provides fair brightness levels to for a soothing reading experience. To give you a real reading experience it comes with 300 PPI of the high-resolution display. If we talk about the storage segment of this device, then it comes with 32GB onboard storage, it means with this device you can able to carry even more titles with you. This device is also available in 8GB of onboard storage variant if you want. One of the best thing about this Kindle Oasis E-Reader is it comes with the IPX8 waterproof feature, it is a good option for you if you love to read e-books in a swimming pool. Another feature of this tablet is, to turn the page it has a dedicated button and also it has an adaptive front light to read comfortably for a number of hours. This Fire HD 10 tablet is the best selling tablet like Fire’s other tablet. It is available in three different colors such as Black, Marine Blue, and Punch Red, here you can choose the color which one which you like. The best feature of this tablet is it comes with Alexa hands-free, which gives quick access to the information and entertainment you want. This device comes with a brilliant 10.1-inch of full HD IPS display which provides accurate color from a wide viewing angle. You can enjoy movies, and games in this device as its display come with less glare. Let’s move towards the specifications of this device, it is powered by 1.8 GHz quad-core processor and coupled with 2GB of RAM to take care of multitasking. If you are concerned about the storage of this device then it has got 32GB of onboard storage which is expandable up to 256GB by adding microSD. If you are an Amazon Prime member then you will get unlimited access on over thousands of books, magazines, millions of songs, and thousands of movies and TV episodes without any additional cost. It sports 2MP of rear camera for capturing photos or shooting videos. While the front-facing camera is VGA for video calling. The battery life is also good of this device which provides up to 10-hours of battery backup. 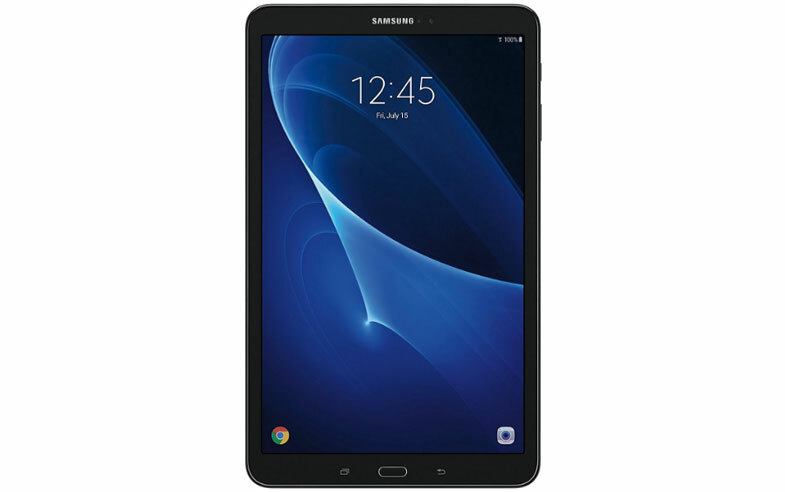 This Samsung Galaxy Tab A has got 4.5 stars out of 5, it means we can say that this is the best tablet. It comes with 10.1 inches of full HD display having a 1920 x 1200 pixels of resolution which provides rich colors and crisp details. This Samsung tablet powered by the Samsung Exynos 7870 octa-core processor with frequency speed up to 1.6 GHz. For effortless multitasking, this device is equipped with 2GB of RAM. To store your photos, books, songs, and movies it comes with 16GB of storage space which is further expandable up to 200GB through microSD card. If we move towards the camera of this device, then it is equipped with an 8-megapixel of rear camera and a 2-megapixel of front camera. With this tablet, you can able to capture better pictures with its excellent features such as continuous shot and panoramic modes. This tablet has got 7300 mAh battery which provides up to 13 hours of long lasting battery backup. The best feature about this tablet is that it comes with parental controls, so you can able to choose which apps you want to allow your child to use. If you are looking for a 2 in 1 convertible tablet for reading then this Lenovo Yoga Book is a great option for you. This Lenovo tablet is world’s thinnest and lightest 2 in 1 android tablet, which is weigh less than 2 lbs. It has inside Intel Atom x5-Z8550 processor and backed by 4GB of DDR3 RAM. On the storage front, this device has got 64GB of a faster SSD drive, which is good enough to store all your files and data. This Lenovo tablet comes with 10.1-inch of full HD display having 1920 x 1200 pixels of resolution which delivers crystal-clear visual while watching movies on the go. With its 360-degree hinge, you can use this Yoga Book in 4 different modes to fit your lifestyle. A few worth mentioning feature of this device is, you can make notes or sketches by using a stylus with real ink. And the best part about this tablet is that its Halo keyboard appears when you need to type, and when you don’t then it disappears. The battery life of this 2 in 1 convertible tablet is also good, which lasts for over 12 hours on a single charge. We hope that you have got the best E-Reader for you from this list, as we have added all the best tablets for reading. In this list, we have E-Reader from the different budget which helps you to choose as per your need and budget. If you have a limited budget then go for the Kindle tablet, which comes with the all the required features and a good collection of e-books at an affordable price. And if you want a traditional tablet for reading as well as for your day to day work then go for any of the above tablets as per your budget. So now it’s your turn to choose the best tablet as per your need and budget.